Like I mentioned last week, I am really trying hard to keep my blogging consistent. Having a routine helps me feel a little more sane (especially with the craziness of the holidays quickly approaching), so it's nice to have a consistent outlet to pour into. And I HAD TO do a Friday Favorites this week because I've come across so many different things that I am loving and needed to share them with you! So, without further ado, let's do this thang! I was contacted by Kudos2u about their new product (it officially launched yesterday) and I thought it was an AMAZING idea so I want to share it with you! I'm not sure if you know this or not, but I donate the majority of my race medals to Medals4Mettle. Even though I don't keep them all (currently I have my runDisney bling and my full marathon medals), there are definitely some that are near and dear to my heart - like my Boston Marathon unicorn! That's where Kudos Coaster Plus comes in! It's an AWESOME way to preserve and display your medals. It's a coaster designed by a runner who wanted a better way to celebrate the accomplishment of completing a race. But, don't worry, it's not an average, boring plastic coaster. 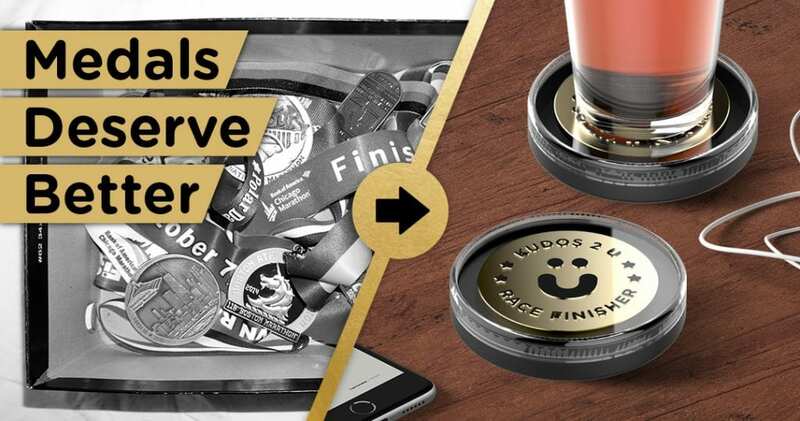 It features 6 colored inserts so you can pick a backdrop that complements your medal, a clear, removable acrylic top so users can switch out medals whenever they'd like, and a polyurethane base for stability and grip. 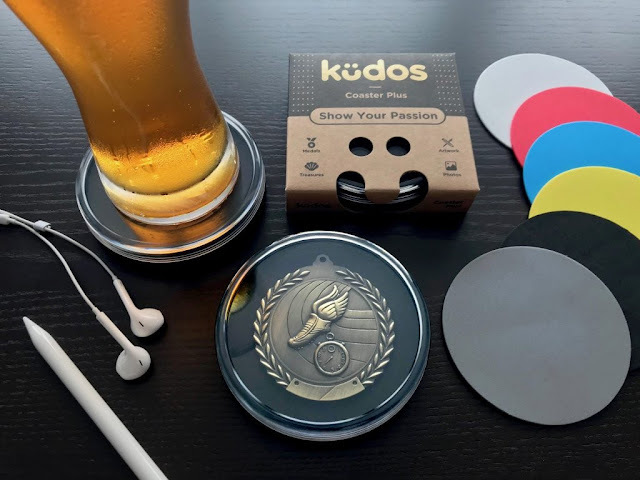 The company scoured hundreds of race medals and found that 80-90% of them will fit inside Kudos Coaster Plus. While there are some odd shaped and over-sized medals, the majority fit inside just fine. And, the coasters aren't just for medals (think art pieces, small keepsakes, photos, etc)! Kudos Coaster Plus will fit any object up to 0.5″ thick and 3.75” wide. With Bohemian Rhapsody hitting theaters yesterday (the hubby and I are stoked to go see it - even if we cancelled our MoviePass memberships and have to pay full price for the tickets), you know I have to put this cover of the Queen song on this week's Friday Favorites. Everything Pentatonix does is pure gold in my mind, and this one is no exception! The coaster idea looks so awesome! I'm going to have to check them out. I also love the Oiselle hoodie!